There are two things you need to know about haunted houses. One, there’s never been an actual authenticated haunted house. Two, it’s not the house that’s haunted, but the person. Callie is a young architectural student who marries Mateo, a wine importer, and moves to a grand old house in Southern Spain. Hyperion House is flooded with light, it also has a mute gardener, a sinister housekeeper and a sealed, dark servants’ quarters that nobody has the keys for. And although initially happy, and taking care of Mateo’s daughter, Callie can’t help being drawn to the dark empty rooms at the back of the house, and becomes convinced that someone is living in there. 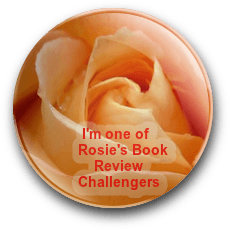 I’ve read numerous times – don’t begin your story too early – that’s how this one felt to me. For the first 70 pages, nothing happened. It was primarily backstory and Callie mentioning MANY times how beautiful the light was in the house. Callie was difficult to connect with and, for me, it’s a tough read when you can’t identify with your MC. Although I really liked Mateo, the relationship between him and Callie seemed a little implausible. After so much in-depth description about the house and the light, I began skimming through the pages. That’s not to say this book didn’t have its moments. Nyctophobia was more of a gothic horror story, not blood, slash, and gore – only with a slower burn than most gothics I’ve read. 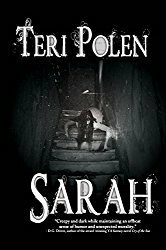 Once the story really began, there were some macabre occurrences and I felt the second half of the book was much more exciting and better paced. The ending alone was worth sticking around for. This book was also well-written and the descriptions of Spain painted a beautiful picture. If you prefer your ghost stories to move at a slower pace, but with some truly eerie moments, this is your book. 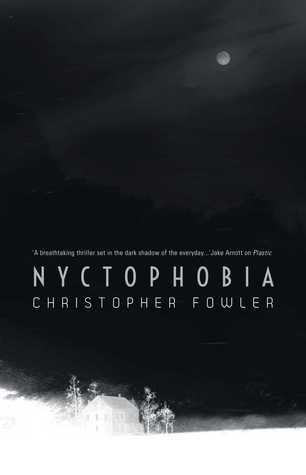 Nyctophobia is scheduled for publication October 7th, 2014.